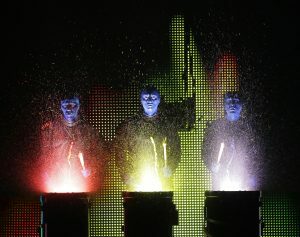 Seeing The Blue Man Group perform live is an experience beyond any other. 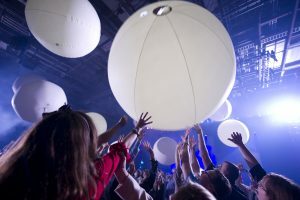 Their quirky and comedic nature, intertwined with the complexity of their music, make them a show that is far from forgetful. 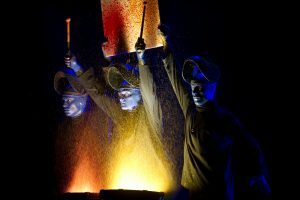 On October 5th, I got the chance to witness firsthand the magic done in the Briar Street Theater that has kept The Blue Man Group active in Chicago for 20 years, a number that has earned it the title of “Longest Running Production in Town.” This exciting experience was brought about thanks to a collaboration between WMXM 88.9FM and The Blue Man Group, as a part of their College Press Event, a celebration of The Blue Man Group’s 20th anniversary in Chicago. 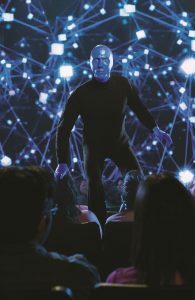 Students from colleges within the Chicagoland area were invited to not only experience the show, but to also partake in a Q&A led by “Left Blue Man,” Eric Gebow, and Musical Director, Jeff Quay. Full of glee, we made it to the Briar Street Theater, where we were met by Alex Jakubiak, who handed us our tickets, and led us to the row specified for participants of their College Press Event. 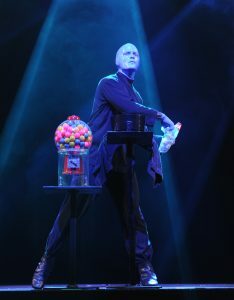 Row Q, seat 6-7 were where we would be seated for the next hour, encapsulated by a show that would leave us in absolute awe. 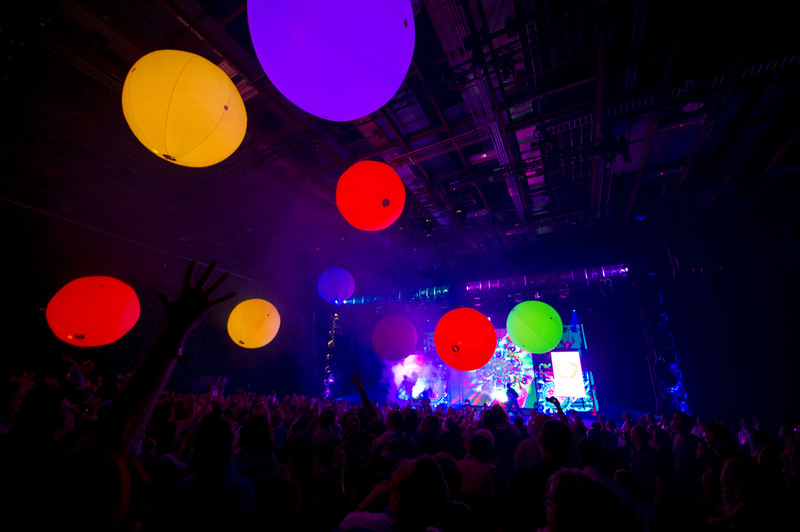 involving the drum barrel and a heaping amount of brightly colored paint. To my surprise, the relationship between the three characters is comedic from the start. 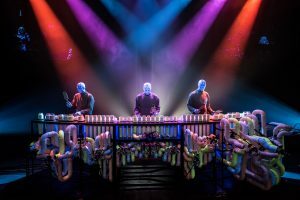 What captured me most is that the three men who play the Blue Men are skilled at create comedic moments through facial gestures, rhythmic timing, and intimately strange audience interactions, all while completely silent. 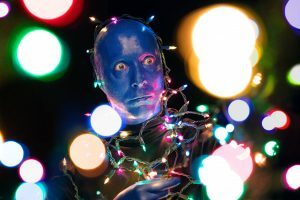 exited the doors and made our way back to Lake Forest College, feeling entirely Blue Man.